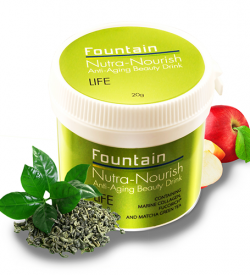 A good skincare routine, exercise and nutritious foods all help to fight premature aging. 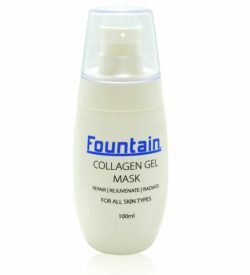 However when you need an extra boost to slow down the visible signs of aging, improve your skin’s elasticity and help you radiate beauty from within, there is always our super-nutritious blend of collagen beauty drinks. 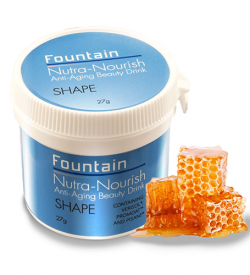 Each of our 12 beauty drinks contains a unique blend of natural and clinically proven ingredients to nourish your body when you need a little something to supplement a healthy lifestyle. Our nutritious blend of hydrolysed proteins supplies micro-nutrients to help maintain health and wellbeing and include VERISOL – bioactive collagen peptides that stimulate skin cells and produce collagen, reducing wrinkles and improving skin elasticity – and PEPTOPRO, which contains all 20 amino acids needed for muscle protein synthesis. Our blend of fruit and vegetable extracts are high in antioxidants and includes PROMOAT – a soluble fibre from oat bran that reduces blood cholesterol and promotes intestinal health – ANTHOCOMPLETE , a specially designed blend of powerful plant polyphenols, and VITABERRY, which is high in fruit polyphenols. 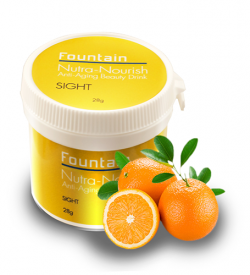 Fountain Anti-Aging collagen beauty drinks also include vitamins* and minerals** to help nourish skin, hair and nails. 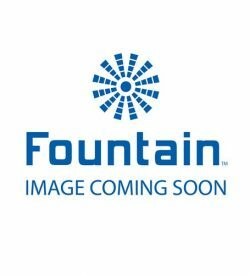 Fountain Anti-Aging Beauty Drink provides a unique blend of natural and clinically proven ingredients to nourish your body from the inside out. 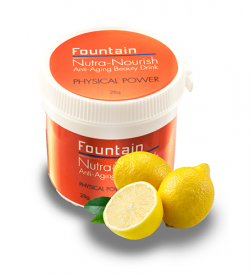 Our nutritious blend of hydrolysed proteins (collagen and dairy peptides) supplies micro-nutrients to vital amino acids, vitamins and minerals that help maintain your health and well-being. Our blend of fruit and vegetable extracts high in anti-oxidants; (ORAC* greater than 10000) Our blend includes; Beta-glucan – a soluble fiber from oat bran. 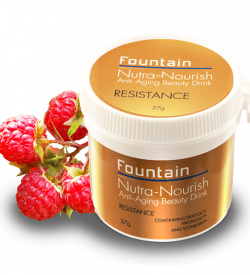 Fountain Anti-Aging Beauty Drink, also includes specific vitamins (A, B1, Biotin, Niacin and C) and minerals (Iodine, Selenium and Zinc) to help nourish your skin, hair and nails. 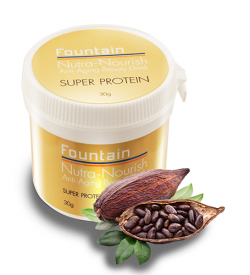 This product works best when consumed as part of a balanced diet, low in saturated fats and regular exercise. 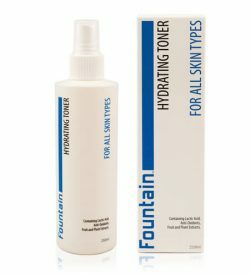 Fountain Anti-Aging Beauty Drink provides a unique blend of natural and clinically proven ingredients to nourish your body from the inside out. 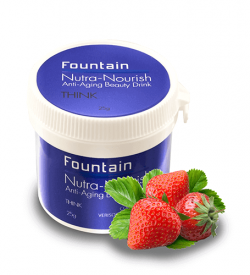 Our nutritious blend of hydrolysed proteins (collagen and dairy peptides) supplies micro-nutrients to vital amino acids, vitamins and minerals that help maintain your health and well-being. 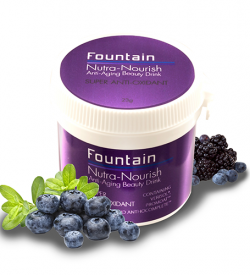 Our blend of fruit and vegetable extracts high in anti-oxidants; (ORAC* greater than 10000) Our blend includes; Beta-glucan – a soluble fiber from oat bran. 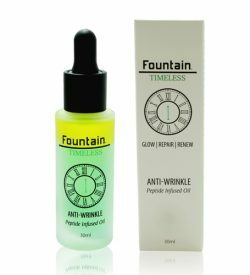 Fountain Anti-Aging Beauty Drink, also includes specific vitamins (A, B1, Biotin, Niacin and C) and minerals (Iodine, Selenium and Zinc) to help nourish your skin, hair and nails. 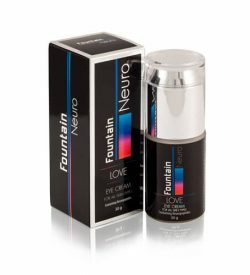 This product works best when consumed as part of a balanced diet, low in saturated fats and regular exercise. 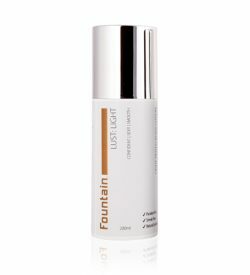 Fountain Anti-Aging Beauty Drink provides a unique blend of natural and clinically proven ingredients to nourish your body from the inside out. 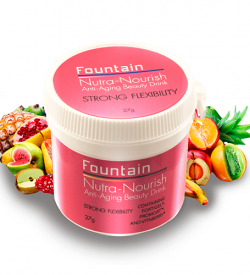 Our nutritious blend of hydrolysed proteins (collagen and dairy peptides) supplies micro-nutrients to vital amino acids, vitamins and minerals that help maintain your health and well-being. 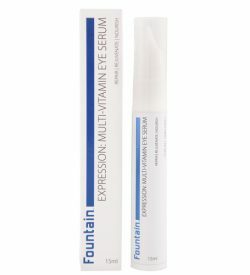 Our blend includes; Beta-glucan – a soluble fiber from oat bran. 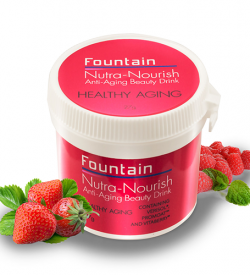 Fountain Anti-Aging Beauty Drink, also includes specific vitamins (A, B1, Biotin, Niacin and C) and minerals (Iodine, Selenium and Zinc) to help nourish your skin, hair and nails.